I’ve been so focused on learning how to draw and be a graphic designer and illustrator these past couple years that I haven’t done much crafting, except for making ornaments for my annual exchanges. 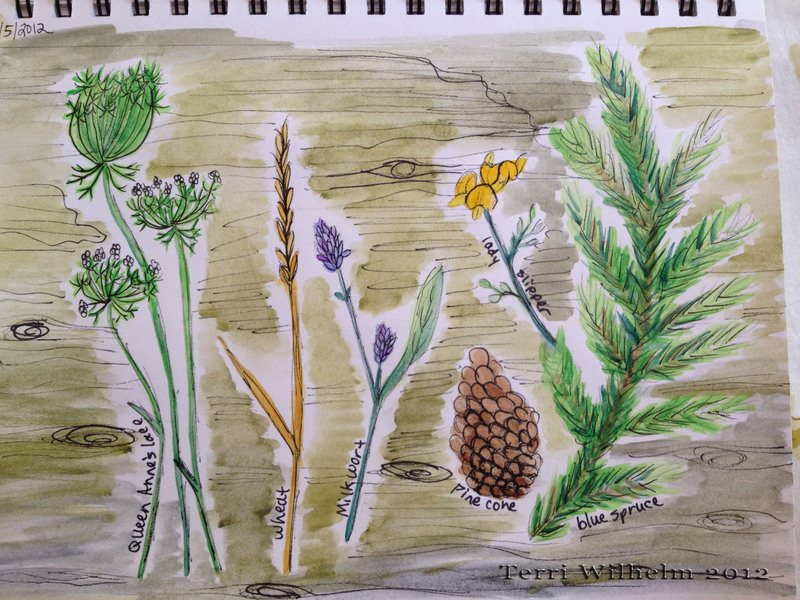 I’ve shared many nature photographs and pages of leaf illustrations in my sketchbook. I have been noticing more and more great nature-related art and craft projects lately, including these I found by doing a simple search on Pinterest. Altered Driftwood by Alisa Burke, which she used to fill up this large glass jar. She also used some pieces to turn into a mobile hanging in her art studio. Fern Fabric by Alisa Burke, which she made into a striking set of patchwork placemats for their table. 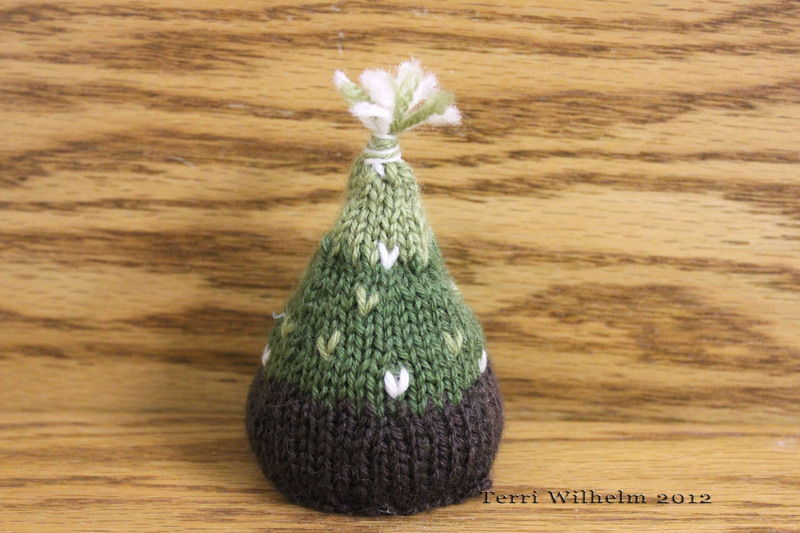 A couple years ago, I took a series of online classes to make Christmas ornaments and decorations. 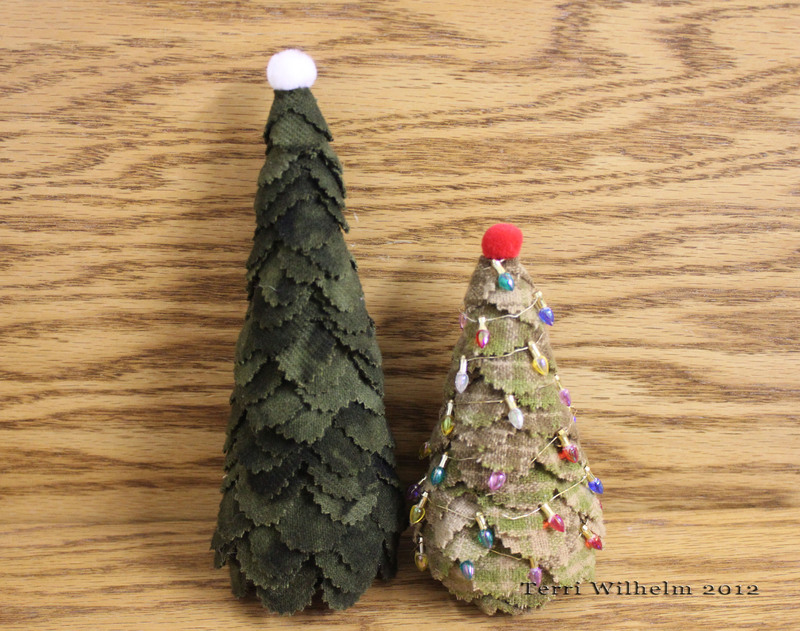 Some of my favorite projects were using felt, like these Christmas trees. I’ve made these projects by the Purl Bee in the past for Christmas presents and ornament exchanges. I liked them so much that I might make them again. If you have a nature art or craft-related tutorial or project you would like to share, please leave the link in the comments. I would be thrilled to add them to my growing list. Thanks for stopping by! I love your picks! There is so much creativity out on pinterest, a very inspirational place to browse for ideas. I love the little pumpkin that you made. There are so many cool project inspirations out there! I’m so pleased that you posted a link to those cute knitted trees stuffed with lentils as my mam adored the one you sent me last year so now I’ll be able to make her a couple of her own. Thanks for sharing some of your inspiration photos – it’s great to see so many different ideas… hope you have a chance to make one or two for yourself. 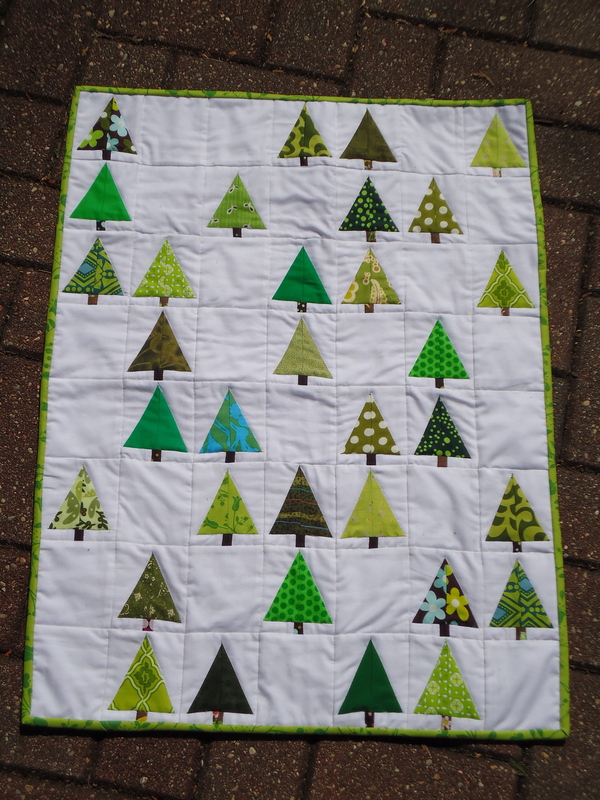 I just love your little forest quilt! 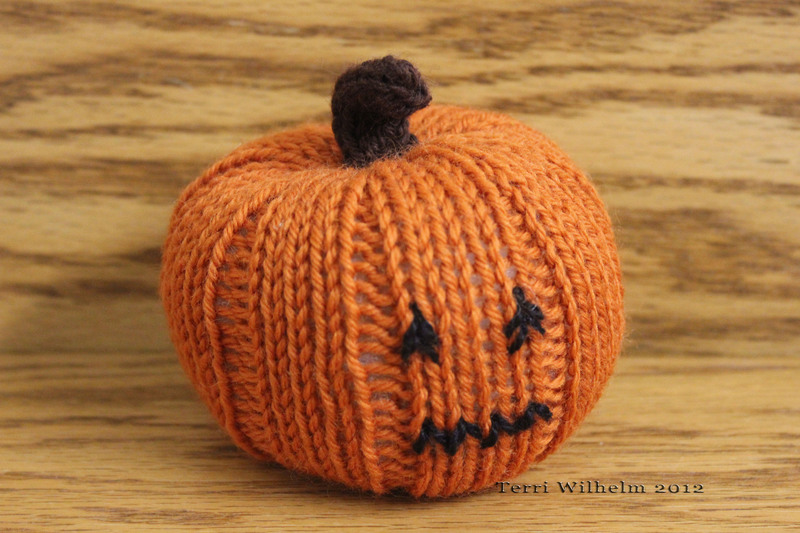 Thanks Michelle for finding the link to the pattern for my little knitted pumpkin above, in case anyone wants to try making that project: http://www.curlypurly.com/pumpkin.html. I love EVERYTHING 🙂 These Christmas ornaments are lovely. Thanks so much Vicki! I have that tree quilt hanging on the wall in my sewing room. 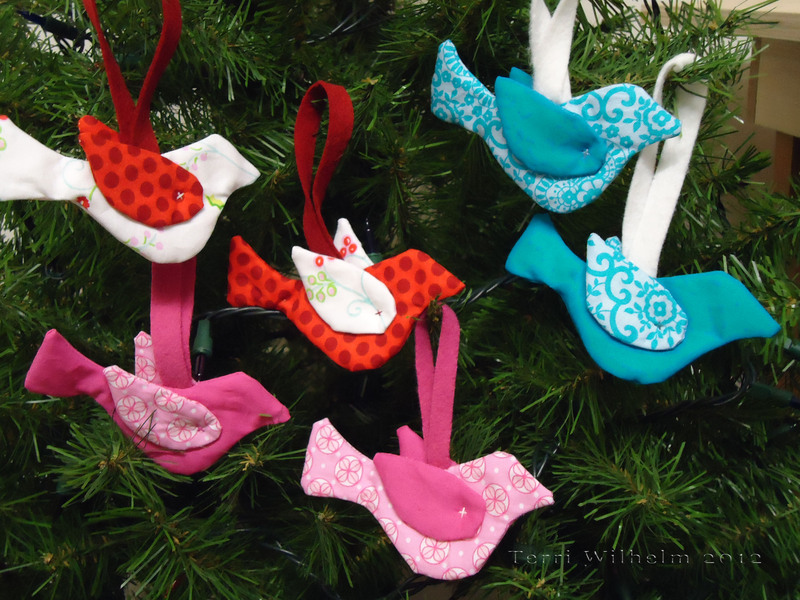 Definitely need to make more of those little bird ornaments to hang throughout the house for some outdoor decorations indoors.